University of Arkansas is a public institution that was founded in 1871. It has a total undergraduate enrollment of 21,836, its setting is urban, and the campus size is 718 acres. It utilizes a semester-based academic calendar. University of Arkansas's ranking in the 2016 edition of Best Colleges is National Universities, 129. Its in-state tuition and fees are $8,522 (2015-16); out-of-state tuition and fees are $23,320 (2015-16). The University of Arkansas, or U of A, is a public institution located in the city of Fayetteville, in the northwest corner of the state. Students at the University of Arkansas can pursue a bachelor's degree in about 75 fields of study, with graduate degrees available in the Sam M. Walton College of Business, the College of Engineering, the School of Law and other fields. U of A students can get involved on campus through several student organizations and media opportunities, including two radio stations and a student newspaper that's been around for more than a century. The Office of Student Activities at U of A plans several free events for students, including concerts featuring Grammy winners such as John Mayer, and lectures by prominent figures such as former President George H.W. Bush. Students who want to venture off the University of Arkansas campus can visit the nearby Ozark National Forest and Buffalo National River or take a weekend trip to Dallas, Memphis or St. Louis, which are each about 300 miles away. 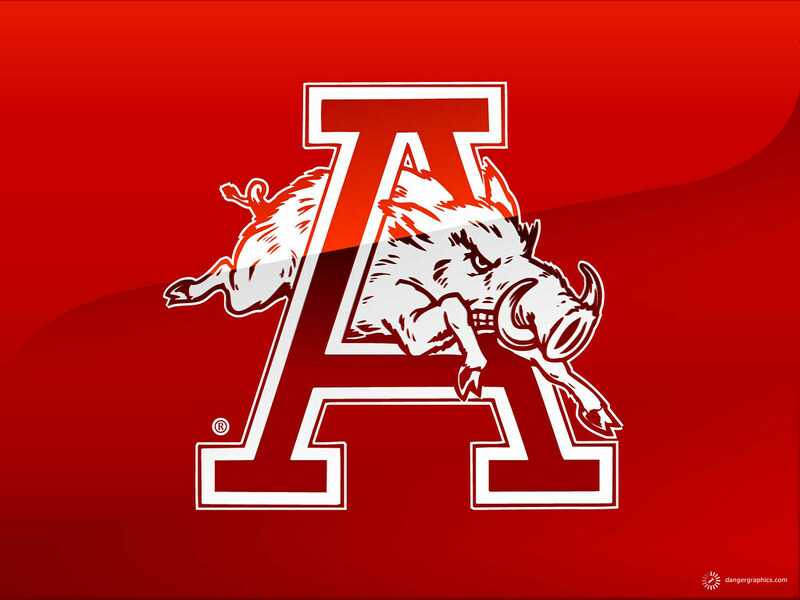 Student athletes can join recreational sports or one of the nearly 20 University of Arkansas Razorbacks varsity teams, which compete in the NCAA Division I Southeastern Conference. Notable U of A past faculty include Bill and Hillary Clinton, who each taught in the law school a few decades before landing in the White House, and famed alumni include Charles Portis, who penned the Western novel "True Grit." Guided by a "Students First!" philosophy, the University of Arkansas offers high-caliber teaching and hands-on research experiences to undergraduate and graduate students on a beautiful campus nestled in the heart of the Ozark Mountains in one of the best college towns in the nation. As the 7th fastest growing public research university in the country, the U of A is flourishing, with enrollment now exceeding 26,200 students. The university has also invested more than $1.3 billion in new construction, major renovations and facilities enhancements since 2000, truly transforming the campus and greatly enhancing the teaching and learning experience for students, faculty and staff. These critical capital investments have not inflated the cost of attending the U of A: it is consistently ranked as one of the nation's best college values by many publications. Highly ranked programs range from architecture (8th among public institutions in 2013) to the Sam M. Walton College of Business (27th among public business colleges) to the School of Law (33rd among public law schools and No. 1 best value among American law schools). The Walton College is also ranked No. 1 in the nation for full-time MBA graduates employed at graduation. U of A teams have won 20 national business plan competitions in recent years. In 2011 the Carnegie Foundation for the Advancement of Teaching elevated the University of Arkansas to its highest research classification, putting the university among the 2 percent of schools nationwide with very high levels of research activity. Recent academic initiatives include new departments in supply chain management, which is quickly gaining a national reputation, and biomedical engineering and new undergraduate minors in Jewish studies, nanotechnology, Southern studies, urban planning and sustainability. During its last capital campaign, the university raised $1.046 billion. The effort established 132 new endowed chairs and professorships. This effort included a $300 million gift from the Walton Family Charitable Support Foundation, which endowed 241 graduate fellowships and created the Honors College, ranked 17th in a recent study of the nation's 50 top public honors programs. Honors College students benefit from 350 fellowships and a generous endowment for research, service learning and study abroad opportunities. Honors programs are offered in all disciplines, tailored to students' academic interests, with interdisciplinary collaborations encouraged. Honors College students enjoy opportunities to explore substantive questions with the university's most research-active professors. U of A students have an impressive track record of earning a substantial number of nationally and internationally prestigious scholarships, awards and fellowships each year, including Rhodes, Marshall, Goldwater, Truman, Fulbright and Gates Cambridge awards, as well as more than 100 NSF Graduate Research Fellowships, among others. Over the past five years, hundreds of U of A students earned national awards and scholarships totaling more than $10 million. The U of A is also one of nation's top producers of Goldwater Scholarship recipients. Since its founding, the University of Arkansas has compiled a remarkable record of scientific, technological, intellectual and creative accomplishments. This achievement is exemplified by the late U.S. Senator J. William Fulbright, a Rhodes Scholar as a student and eventual president of the university. In 1946, as a member of the U.S. Senate, Fulbright authored what became known as the Fulbright Program, the nation's primary international educational exchange program for scholars, students, educators, artists and professionals. The U of A also boasts a unique tradition among American colleges and universities: Senior Walk, consisting of more than three miles of sidewalks displaying the names of more than 160,000 graduates, dating back to 1876.